Motorcycle accidents are some of the most severe vehicle crashes. Studies estimate that bikers are 35 times more at risk for dying in an accident than other motorists. With catastrophic injuries and fatalities, representation is vital. Because recovering fair compensation is difficult, at best, a New York City motorcycle accident attorney greatly increases your odds of receiving compensation that actually covers your expenses. At Segan, Nemerov & Singer, PC, our attorneys know how to maximize your recovery. We can deal effectively with insurance companies, juries, and judges in motorcycle accident cases. Motorcycle riders face heightened risk of accidents because other motorists rarely see them. Dwarfed among larger vehicles, motorcycles accelerate quickly and are suddenly lost from view. In many accidents, drivers are unaware of the motorcycle until impact or until it is too late to avoid the collision. In addition to the visibility problem, public bias makes these cases difficult. The public in general sees bikers as wild risk takers and rebels. This narrow-minded outlook presents a challenge for motorcycle accident law firms and requires astute strategies and strong cases to overcome such bias. 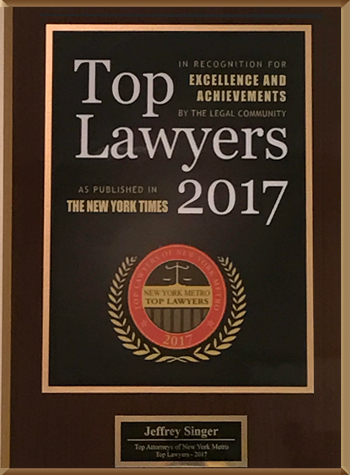 At Segan, Nemerov & Singer, PC you find aggressive advocacy, seasoned experience winning cases, and compassion for your situation. We have handled injury cases for more than 59 years. Our motorcycle accident attorneys in New York City are skilled in assessing damages, and can predict insurance company defense tactics. We cover all bases when estimating past and future medical care, lost wages, and future income along with putting a price on your pain and suffering. When a case requires accident reconstruction, private investigation, medical evaluation, or specialized analysis, we have access to highly trained experts and the wherewithal to move the case forward. We take these cases on a contingency fee basis, which means you owe no fees unless we win through settlement or verdict. Most cases settle outside of court. If you have suffered serious injury or lost a loved one through a motorcycle accident, contact us for a free consultation. 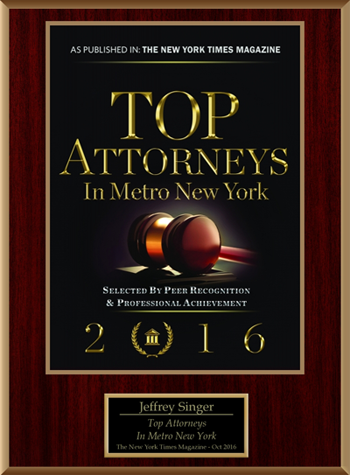 To discuss your claim, call (212) 696-9100 or contact Segan, Nemerov & Singer, PC online.